I grew up fishing Bankhead lake. Usually when a lake has been impounded for over 80 years, it has seen its day of excellent fishing. Warrior River Impoundment Bankhead Lake, was dammed up in 1916. This inundated many old farms, houses, roads, bridges, creeks, feeder streams and the incoming Warrior River and Little Warrior River. Barge navigated, from nearby Birmingham to Mobile bay and covered in a variety of weeds, logjams, resident-built piers and houses. 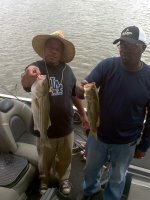 The old Warrior is still an excellent bass fishery. Pollution from upriver factories has deteriorated the fertile waters of Warrior river long ago. Garbage has been dumped into tributaries such as the long, winding feeder creek, Valley Creek, flowing out of the city of Bessemer, Alabama. This scenic waterway, has her beauty tarnished, by the uncaring people, that needlessly continue to pollute her waters. Valley Creek is navigable for more than 10 miles, as it winds its course through rock bluff hills. It is situated in a wonderful countryside atmosphere. The only scar to this natural beauty, is the notable array of floating plastic bottles, baseballs, basketballs, footballs, soccer balls and other floatable objects, strewn for miles along this beautiful, scenic major feeder creek. The Warrior River waterway is proof that mother nature can survive…despite all man does to kill her. Although this Impoundment is kept at full pool year-round the lake level can fluctuate during Spring. Down at times (1-2 feet), these low, fluctuating, water levels always interrupt shallow water prespawn patterns. With heavy spring rains, Bankhead Lake can be over full pool during March. 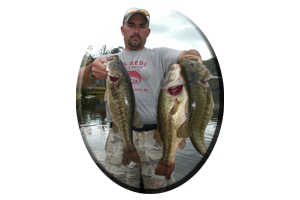 High and muddy water, can scatter bass into some very shallow water. Normal conditions would be full pool with a slight stain to the water, with water temperatures in the mid-to-upper 60′s. 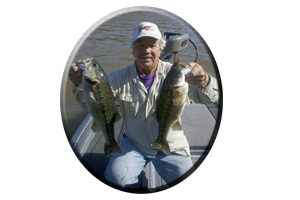 Under these conditions bass will move to shallow, main lake flats, the mouths of cuts and small pockets, along points leading into creeks, around logjams and brush, and in the far back ends of any shallow, backwater feeder creek. Wood cover can be found throughout this old, winding river. Logjams are piled-up on main river flats, along outside river bends, in the mouths of pockets and feeder creeks. These wooden structures can hold schools of pre-spawn male and female bass in March…with the right conditions. As weeds again turn green, the bass will invade these oxygen-producing homes and spawn, in and around the thicker weed varieties. Rock bluffs and deep, outside river bends, hold quality spotted bass, year round. In March, many of these deeper dwelling bass, are in 5-10 feet of water. There are a variety of lures for this situation, but a select few, always get good results. Jigs with added pork or plastic crayfish trailers, tube baits, jigging spoons, deep-diving crankbaits and spinnerbaits, are all good. 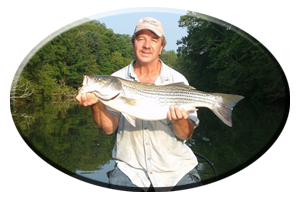 They can be fished from shallow to deep water, along these main river drop-offs, for both species of bass. Its all according to the weather. There are a lot of Big bass in this old river labeled, Bankhead Lake. Some big bass are caught in the spring, with some weighing in the 10 lb. class. That is, by some lucky angler fortunate enough to land one or more of these hard-fighting old river bass. 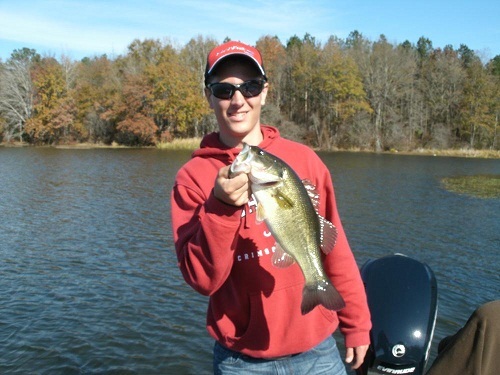 Bass beds are easily spotted during mid-to-late April, that is with clear water conditions. Finding the biggest bass on the bed, only involves looking for the biggest bed. Always keep this in mind during spring fishing trips. * Returning these bass to live and fight another day, is what ensures future generations of bass and bass anglers. Weeds are in full bloom by April. Many weeds types including lily pads and stands of weeds, will hold bass bedding in nearby areas. Areas out of the main river current, and spots with a slight stain to the water, in 1-3 feet of flats, are excellent spots to begin your search. 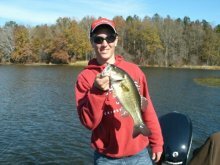 Worms, lizards, crayfish, tube baits, grubs and jig combos, are best for fooling some very skittish bass. Stealth is advised, along with long casts and utilizing polarized sunglasses, for spotting beds. Look for fish movement such as wakes, swirls, boils, water movement, weed movement, muddy spots or any baitfish skipping across the water’s surface. This will indicate bass are down below. 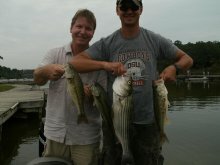 Buzzbaits, spinnerbaits, floating worms and lizards, are just a few of the lure choices, for April on the Warrior River. Remember to practice Catch and Release this spring. When Warrior River bass have bed, they will feed for days, often weeks. This takes place as they regain strength and then return to deeper water or return to weeds or wood cover they then spend the summer in. This is when bass go on a feeding rampage and will foolishly hit topwaters, with reckless abandon. Main-lake flats will have scattered schools of shad. Bass are down below these huge baitfish schools, herding them up, generally each morning and late in the evening. Often these voracious bass will feed all day, especially with cloudy, overcast weather. Weekdays show less anglers and boat traffic on the Warrior River. Rattletraps, rattlin’ spots, Red eye shads, crankbaits and jerkbaits will all take these bass. Spinnerbaits and buzzbaits will be nailed, along with Zara Super Spooks, pop-r’s, baby torpedoes, devils horse’s and other prop-baits or topwater lures. Around weeds, isolated logs, stumps, brush piles and laying trees the buzzbait is a proven favorite on the Warrior River. There are many frogs, mice and rats, that live around the lakes edge. Lures that mimic these small creatures, are high on the list of Big Bass favorites. Big worms, simulate newborn snakes, that bass dine on regularly. Whether they are fished on top weedless or Texas-rigged for down on bottom, they are deadly. 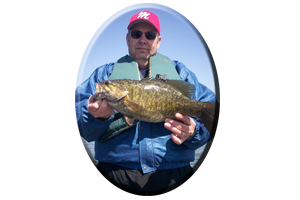 Worm sizes of 10-12 inches are best for enticing the much bigger bass. Also try oversized lizards, big crayfish imitations, and jigs with big pork or plastic trailers, for that BIG bass bite. 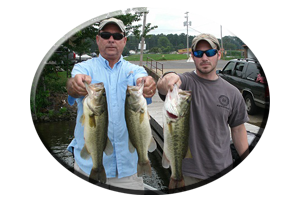 Keep in mind that by Summer, most morsels have become a little bigger, and so should the choice of your lures when fishing Bankhead Lake!